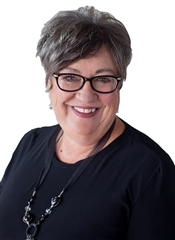 Cathy has been in the real estate industry for over 30 years. and is well-known for her work ethic and client care. Her hard work and dedication to the industry is proven by the number of returning clients each year. Cathy is not only the Broker of RE/MAX County Line Realty but she is also consistently one of the top producing realtors in the Amherst area. Cathy would love to help you with your next step in real estate!